Hot flashes. Moodiness. Difficulty sleeping. Most people would write these symptoms off as something as simple as stress, but for women approaching age 50 these could be signs of the dreaded Big M: Menopause. Menopause will inevitably happen to women as they age, but what about when it happens too soon? An estimated 1 in 20 women will begin menopause before they turn 40, but don’t panic yet! Scientists have recently discovered a surprising (and delicious) new way to prevent early menopause. The secret? 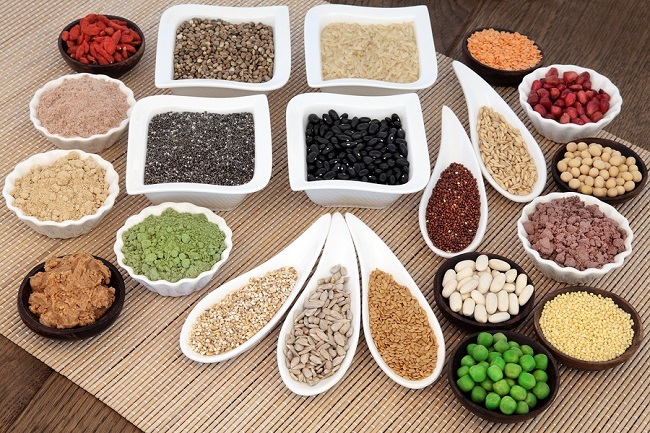 Vegetable proteins. Menopause occurs naturally when a woman’s ovaries stop producing estrogen, the hormone that regulates the reproductive cycle. The National Institute on Aging states menopause typically occurs between the ages of 45 and 55, but an estimated 5-10% of women will experience early (or premature) menopause before the age of 40. Early menopause takes a huge toll on the body, and the stresses caused by these hormone fluctuations can put a woman at a higher risk for cardiovascular diseases, neurological disorders or Osteoporosis. While early menopause might not be preventable, a healthy serving of vegetable proteins could be your secret weapon to delaying its onset and lowering your risk. It almost sounds too good to be true, but science says otherwise! According to a study conducted by the University of Massachusetts at Amherst and Harvard T.H. Chan School of Public Health, women whose diet was at least 6.5% vegetable protein-based lowered their risk for early menopause by 16%. During this 20 year observance from 1991 to 2011, scientists eliminated variables such as age, BMI, and smoking habits to determine the link between food and early menopause was, in fact, vegetable proteins. While this research is new, it is suggested that vegetable proteins delay early menopause because they contain isoflavones. Isoflavones are phytoestrogens (or plant estrogens) that are similar in chemical structure to the estrogen produced in the ovaries. Although much weaker than estrogen, eating large enough portions of isoflavone-rich vegetable proteins can actually help to fill the void of estrogen lost in women predisposed to early menopause. 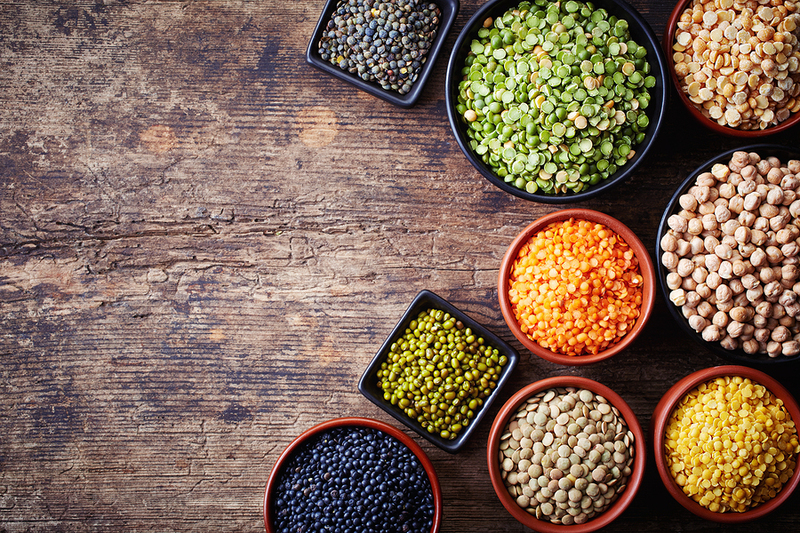 Incorporating more vegetable proteins into your diet is an easy and tasty way to decrease your risk for early menopause. Based on a 2000 calorie diet, a woman should ideally aim for three to four servings (or 32.5 g) of vegetable protein-rich foods per day. For overall health benefits, add other vegetables as total fruit and vegetable servings to get all of your nutrients are 7-10. 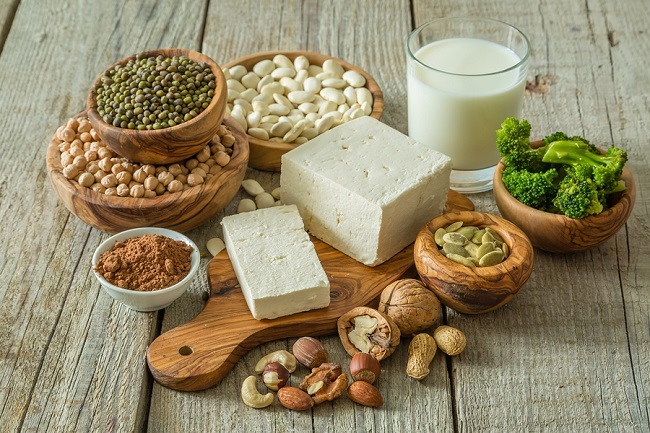 While these studies confirmed the link between vegetable proteins and early menopause, representatives from the University of Massachusetts at Amherst and Harvard T.H. Chan School of Public Health warn there is still further research to be done to better understand this relationship. Don’t let this deter you from adding these protein-rich options to your diet! Vegetable proteins are loaded with benefits other than just early menopause prevention, so it will do you no harm to fire up the veggie burgers or enjoy a bean salad. As with all matters relating to aging, hormones and dietary changes, it is important to first consult with a functional medicine doctor before making any major modifications to your lifestyle. Dr. Lorraine Maita is a recognized and award-winning holistic, functional, and anti-aging physician and author. She transforms people’s lives by getting to the root cause of illness using the best of science and nature. Her approach is personalized, precision medicine where you are treated as the unique individual you are. If you’re ready to start your journey to a healthier, happier life, schedule your visit today!